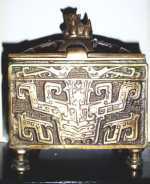 Description: The patina on the body is just gorgeous, and there is a scene with water & rocks on one side, and water on the other. 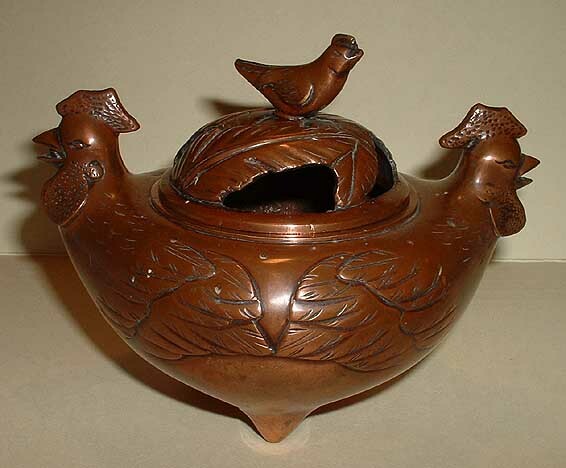 The little bird sits atop her nest of sticks, which forms the lid of the burner. 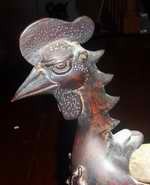 Measures 3 1/2" wide, and 3 3/4" to the top of the birds head. 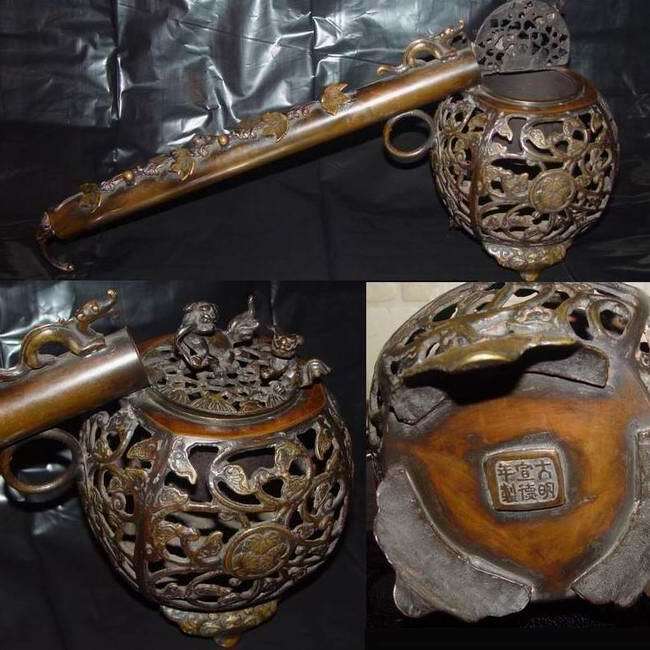 Description: I think it is soapstone and is missing two handles maybe they were metal or wood? 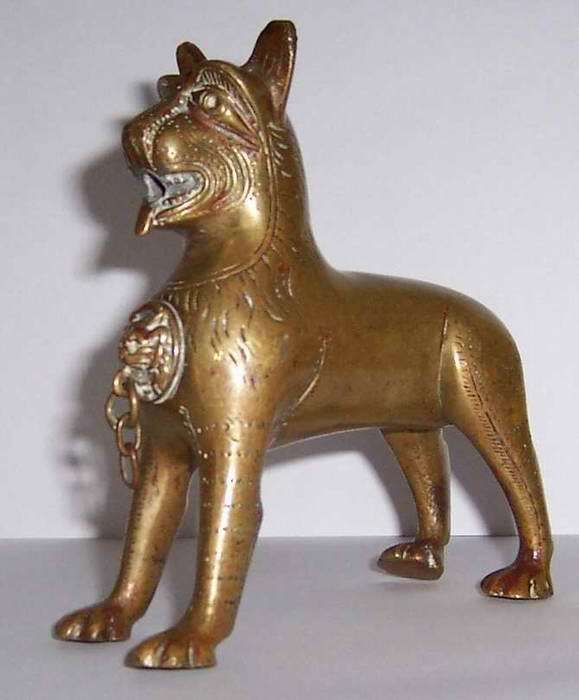 It is about 7 inches high and has a small chip on the liondog`s tail. Description: On the stand is a young boy in what seems to be period clothing wearing what looks like burning coals on his head. 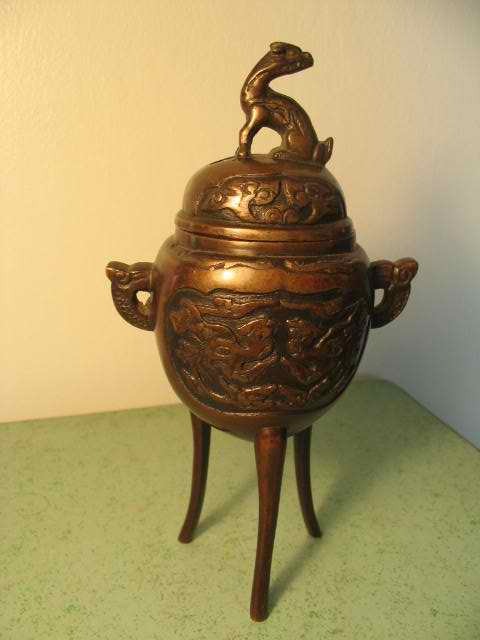 Above this is the oil lamp with 3 spouts.It has a tall bulbous lid. 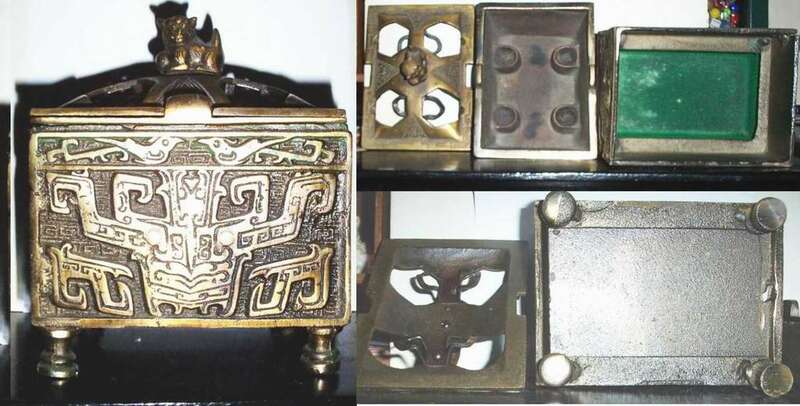 On top of this is a triangular plate supporting a bucket,a bell and what could be a talon,each on a chain. Above this is what i believe to be a waft plate. Finally, there is the handle. 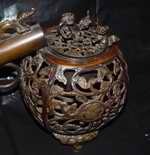 The Oil Lamp is 38cm in height and can be dismantled easily for cleaning. Description: The approximate dimensions are: Height to top of lid 170mm; Max. width of bowl 63mm. (inline with handles). Min. width of bowl 60mm (90deg to handles). 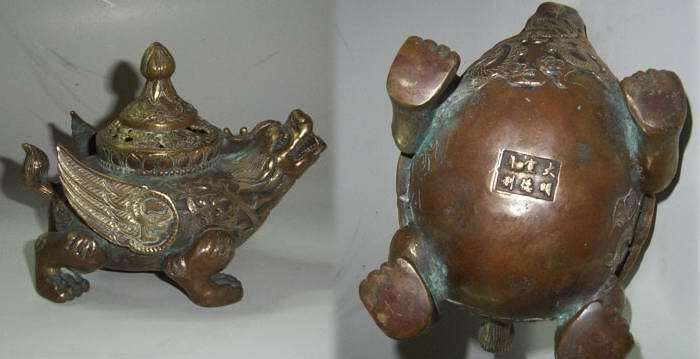 Depth of bowl (without top or legs) 79mm. Width across handles 90mm. 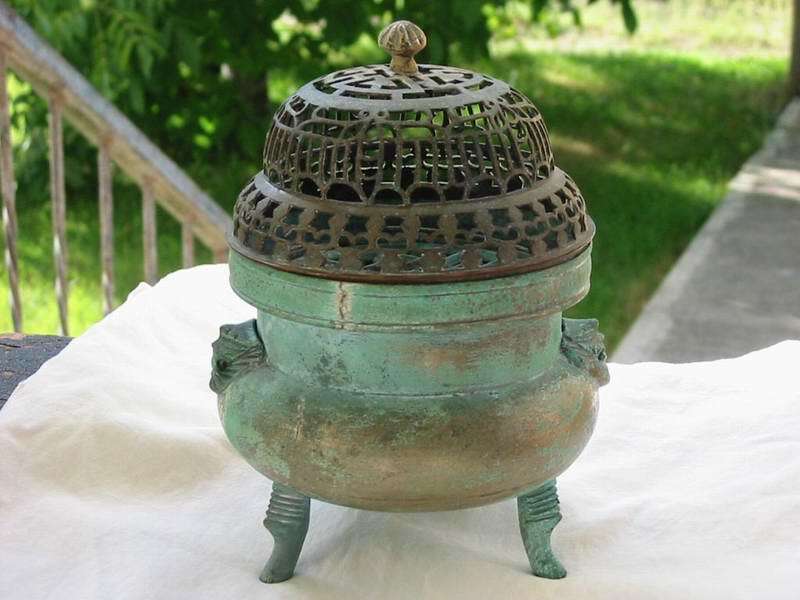 Description: There is a light green patina over Burner, it measure approx. 5 1/2 inches in height by 4 inches in width. It burns cones or sticks. 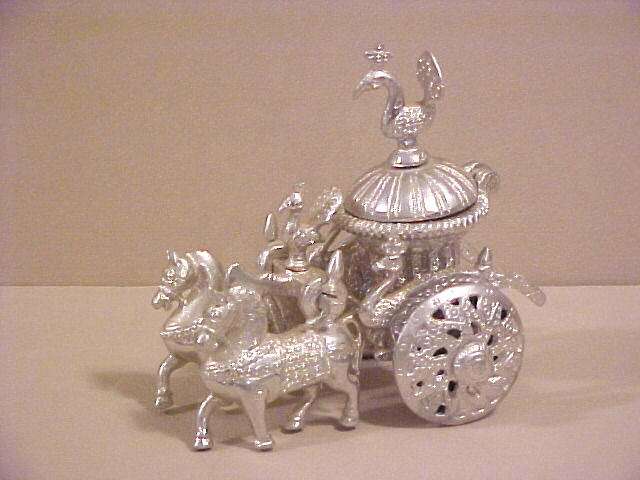 Description: Carriage drawn by 2 horses, made of some kind of metal, maybe pot metal, looks to be silver plated, very shiny silver color. 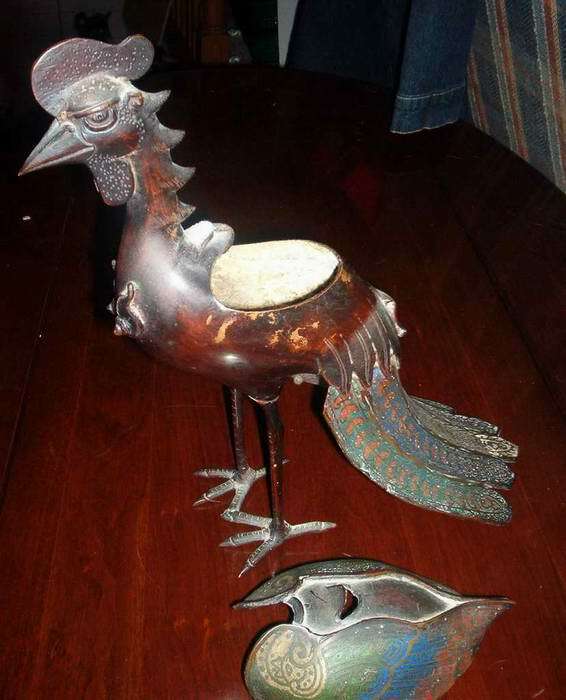 6.5" long, 6" high, Has peacock over each wheel, peacock on seat, & one on top of a hinged lid on a shallow bowl. 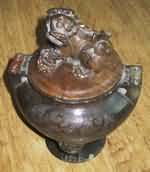 Bowl is 2.5"across, 1" deepest part, heavy for it`s size 1.5-2# No markings at all. No other pieces with it. 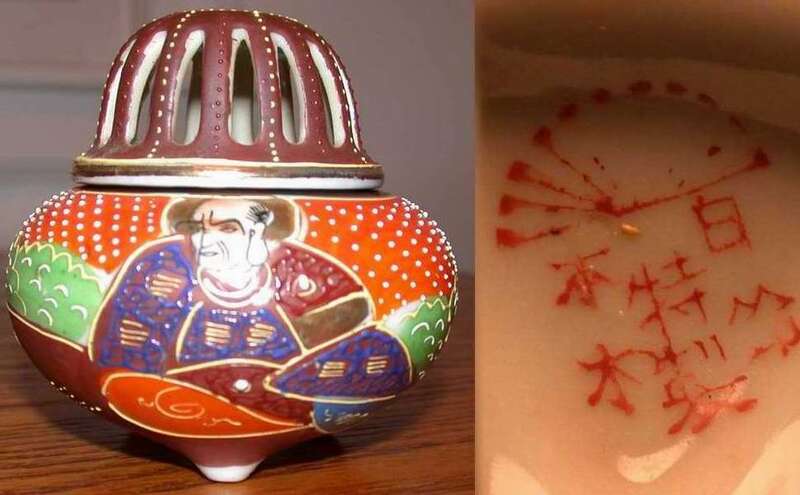 Description: This (Japanese ?) 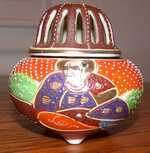 burner is about 2 inches high without the lid, 3 1/4 inches with the lid, approximately 10 1/2 inches around at the widest point. 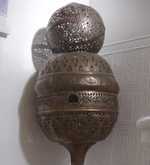 Description: This (Moroccan ?) 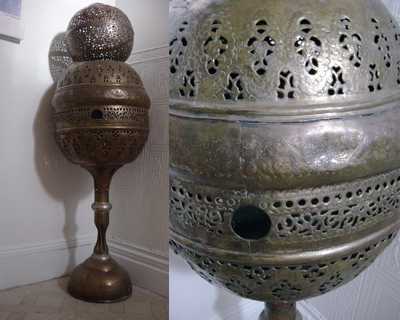 incense burner is about 5 foot 6 inches tall and made of brass. 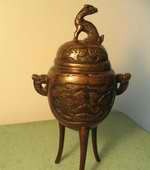 Description: This chinese burner has 20 cm. high x 15 cm. 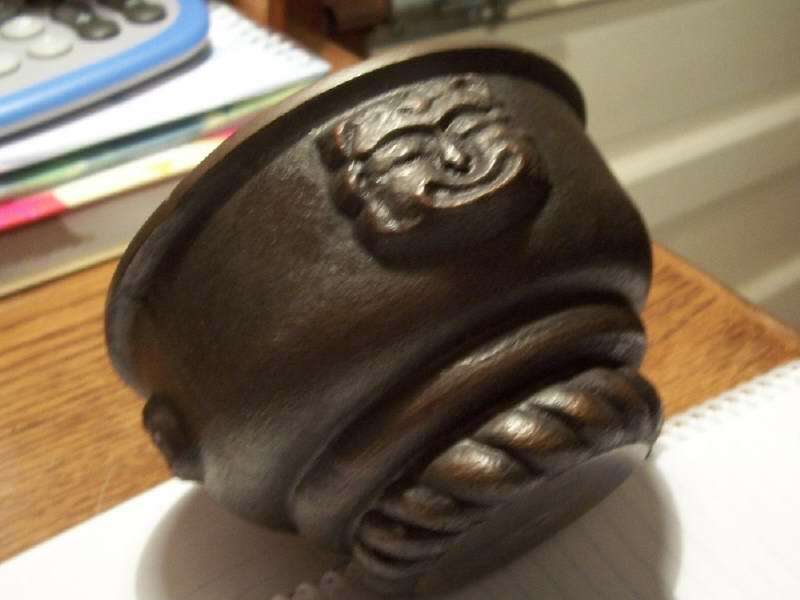 wide, it is of bronze.